"Compulsive skin picking (CSP) is characterised by the repetitive picking of the skin to an extent where damage is caused. ... It is often categorised as an impulse control disorder under the Obsessive Compulsive Disorder (OCD) Spectrum as the skin picking is often repetitive, ritualistic and tension reducing." Definition for CSP from anxietyuk. I've always had a mild obsession with skin picking. As a kid I used to pick at the skin around my thumbnail until it was hanging half way down the thumb and bleeding. It's like worrying a loose tooth or picking at a scab; it hurts but it's also weirdly satisfying. It also releases tension in nervous situations. As I was a shy and anxious child I did a lot of picking! I eventually managed to leave it alone for a bit, long enough for my thumb (well, thumbs by that point) to recover. 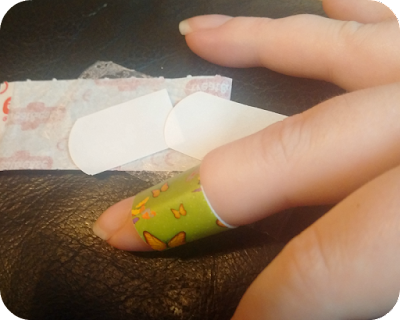 But then I developed a 'writer's bump' on my middle finger and discovered that it was absolutely perfect for picking by digging my thumbnail into it. This was even better than the thumb as it can be done one handed, while reading, watching TV, even while thinking about what to type next. It doesn't look as bad as the thumb picking did, either. 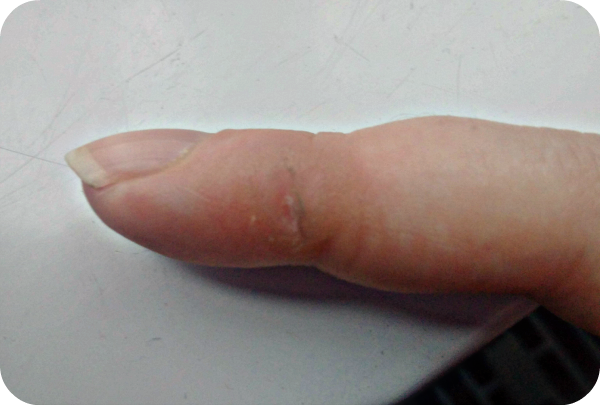 It bleeds less, and the callus means the missing skin layers are much less obvious. The problem is it hurts. Thankfully there's no call to write much with a pen these days. I say thankfully because I can't write for long without it starting to throb. So, I've decided I'm going to make a concerted effort to stop picking at it. Anthony is always telling me off for it, and my thumbnail is always snapping or warping because of it. For more information on skin picking and related OCD type behaviours, check out TLC: Trichotillimania Learning Centre.